Recently I noticed a new addition to the freeze dried foods selection at my local market: tangerines. While I enjoy fresh tangerines, they are rarely available where I live, and the texture of canned tangerines is a little slimy for my liking. Imagine my delight for this new storable tangerine option! 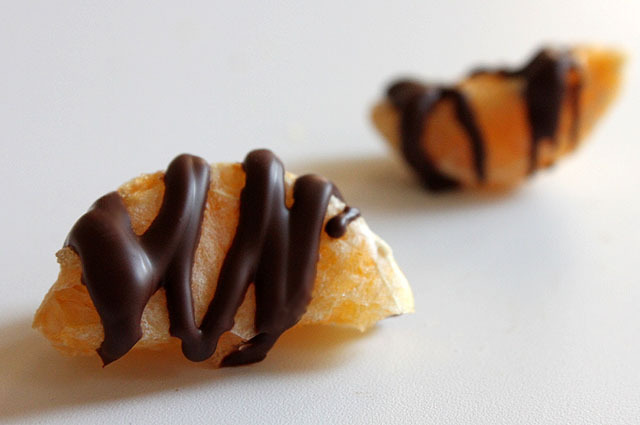 Crisp and filled with air like a cheese puff, though incredibly light and flavorful, I immediately thought of making bittersweet and bright, dark chocolate snacks with these freeze dried fruits. 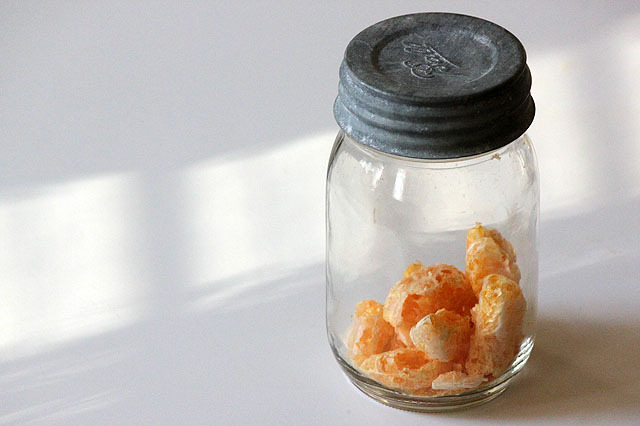 Simple to do; the small tiger-striped bites melt in your mouth without the dense chewiness of dried fruit or over the saturated syrupy taste of a jelly. Fun for a party! 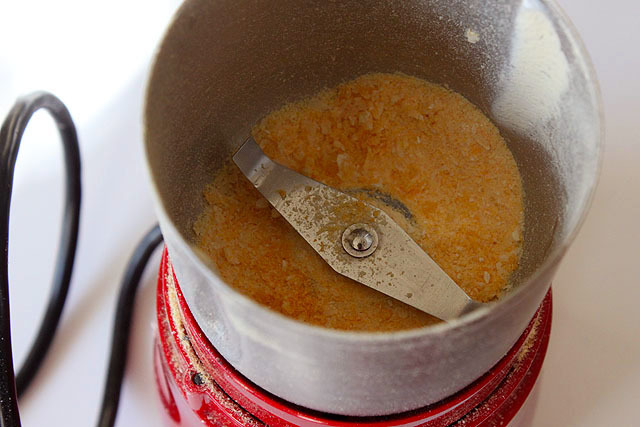 Next I ground the remaining freeze dried tangerines in my coffee grinder to add an unexpected citrus twist atop dark chocolate chunk brownies. 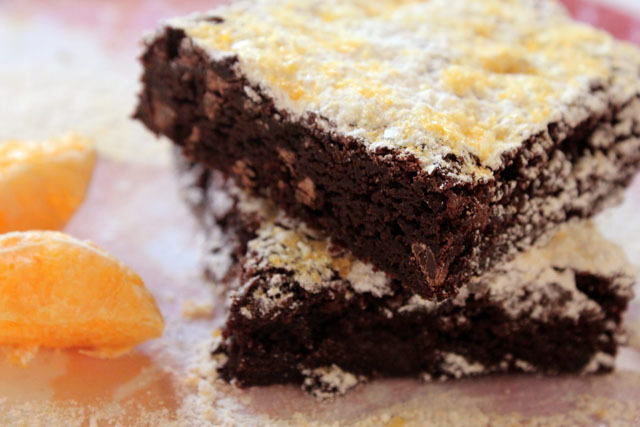 Make your favorite brownie recipe, bake, sprinkle with powdered sugar, then let the tangerine dust work it’s magic at the very last minute. 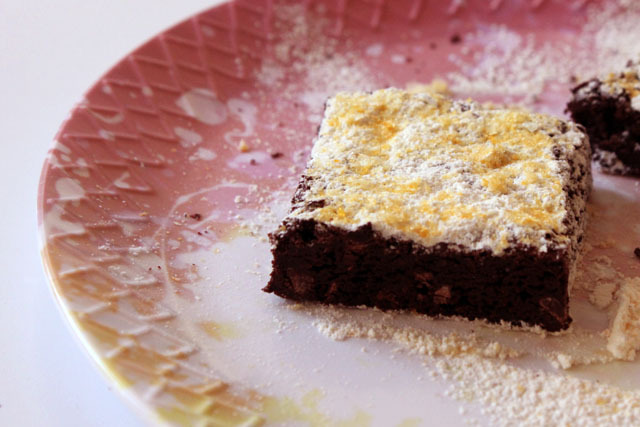 The tangerine and dark chocolate air is an added bonus. Reblogged this on The Health Update 24*7.